We are a purpose built clinic based in Mill Road, Burgess Hill. We offer a number of different healthcare services to suit your needs. We also now offer foot healthcare treatments. These treatments are carried out by an experienced foot healthcare practitioner in comfortable and relaxing surroundings. There is parking at the Sussex Osteopathy clinic in Burgess Hill. If this is full then there are two pay and display car parks within 200m of the clinic that charge 80p for an hour – please call 01444 810331 for directions. 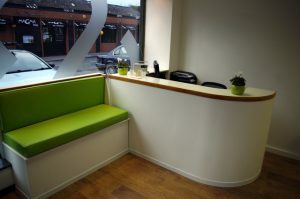 We also offer disabled access and are a children friendly clinic! Call us on 01444 810331 or fill in the form to arrange a booking.